In early 17th-century Spain, the Castilian parliament voted to elevate the newly beatified Teresa of Avila to co-patron saint of Spain alongside the traditional patron, Santiago. Saint and Nation examines Spanish devotion to the cult of saints and the controversy over national patron sainthood to provide an original account of the diverse ways in which the early modern nation was expressed and experienced by monarch and town, center and periphery. 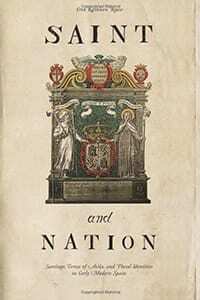 By analyzing the dynamic interplay of local and extra-local, royal authority and nation, tradition and modernity, church and state, and masculine and feminine within the co-patronage debate, Erin Rowe reconstructs the sophisticated balance of plural identities that emerged in Castile during a central period of crisis and change in the Spanish world.